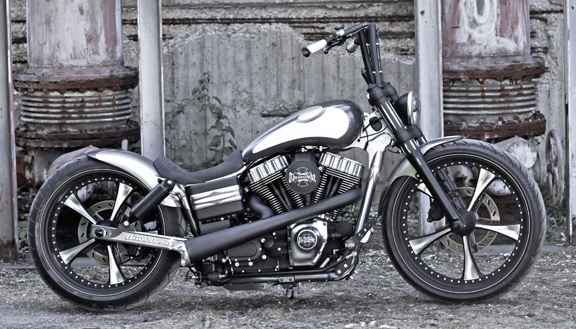 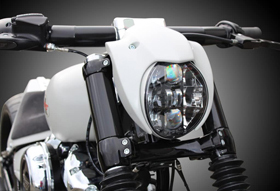 Our swingarm conversion kit will enable you to mount a 260 tire on your stock 2008-up 6-speed Harley Dyna without doing any modifications to the frame! 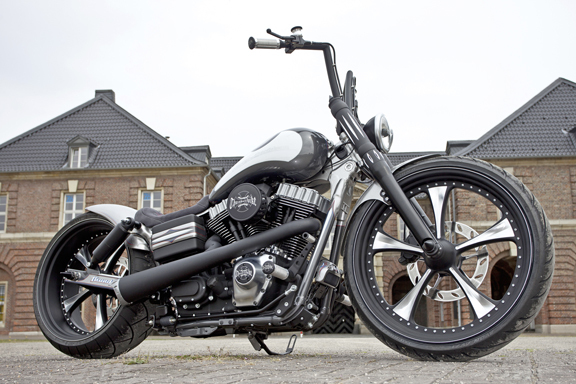 Kit includes black powder coated swingarm, 25mm wheel axle, axle spacer and disc spacer. 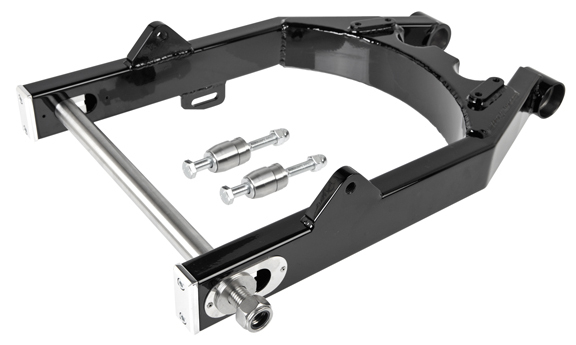 Please note that this swingarm kit can be installed in conjunction with 16 inches, 17 inches or 18 inches diameter rear wheels. 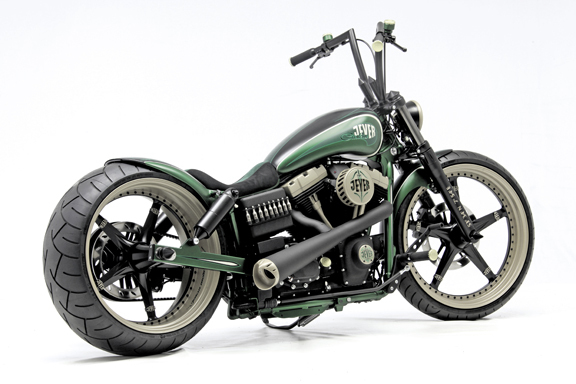 Rim width should not exceed 9 inches. 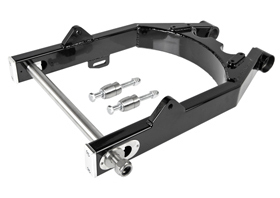 Available for OEM braking system or for our rear caliper and bracket for pulley-brake combination. 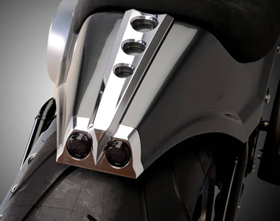 Available in stock height or 1-1/2 inches lowered (if you plan to install the swingarm in conjunction with our Air-Ride suspension system use the stock height version, not the lowered one). 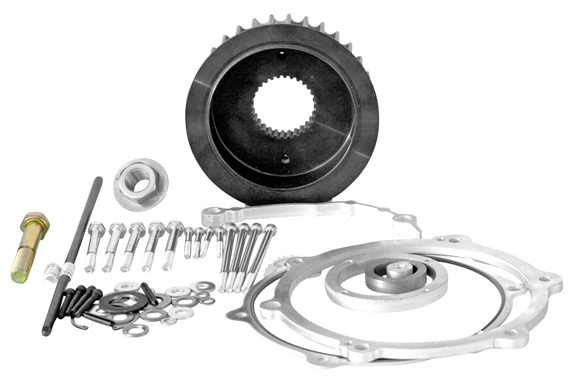 Please note you will need to purchase also primary offset kit p/n 04-70-561 (sold separately). 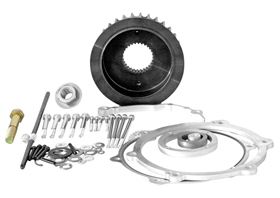 NOTE: kit does not include front offset pulley, belt, wheels, rear pulley, brake calipers, rotors, tires or rear fender.